HI EVERYONE!!! 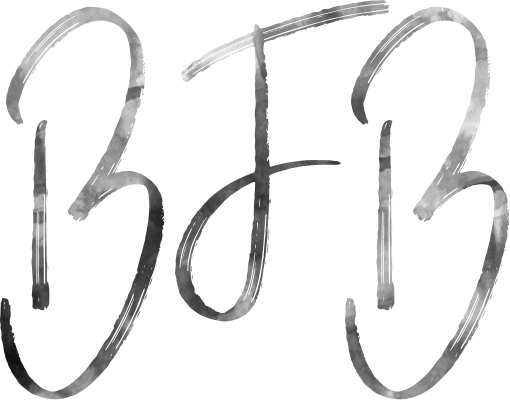 I am super excited about this series that I am working on! 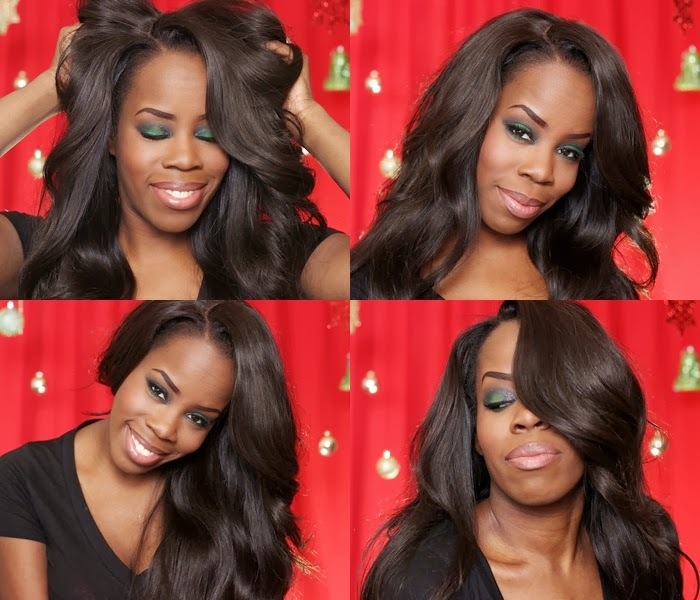 It's my Holiday Glam 2013 GRWM (get ready with me) series where I am going to share a Holiday look from head to toe every Friday, up to the weekend before Christmas! I have been challenging myself to start and finish sets of videos/posts related to holidays and events. I must say, it's a bit harder than I expected, but I am up for it! 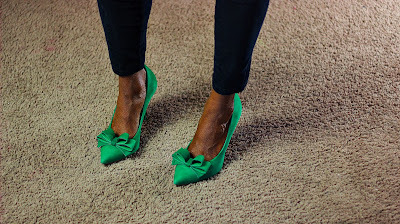 I am kicking it off with the color green and I was inspired by these lovely shoes from JustFab! Fairfield from the Luxe collection at JustFab and BABY!!!!! This is one hot, classic, show-stopping shoe! The color is so rich and vibrant and bows make EVERYTHING better! I am so glad I got a hold of these, especially at $59! 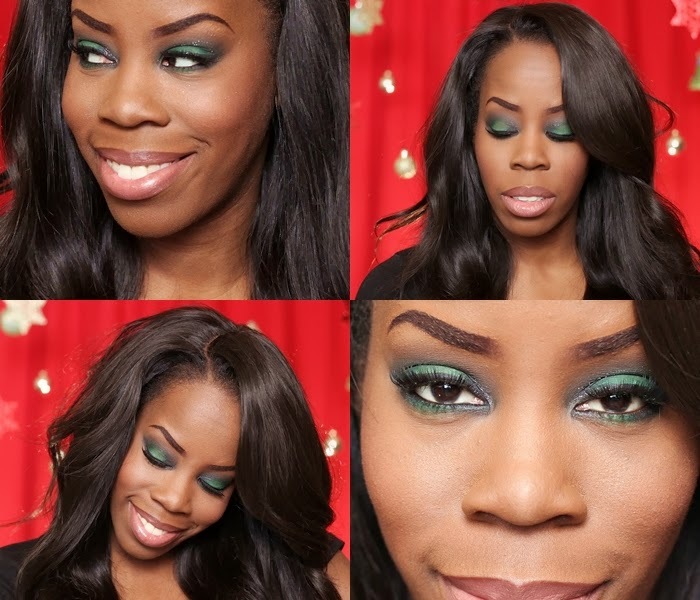 With my makeup, I went all out glam with a modern smoky eye and an added pop of green in the center. You guys know I am SO not an MUA, so I couldn't name all of the items used off the top of my head. For my hair, I made a unit from one of my favorite companies, Princess Hair Shop! I've been rocking it the last few days and I think that this may be the best unit that I've made. The video explaining how I made this will be up soon! I just brushed it out. I curled it the first day I made (and I haven't touched it since) and I didn't want to do too much to it. I like how its just loosely curled (waved) with no particular pattern to it! And last, my outfit! I wanted to just have that pop of the green with my shoes, so I opted for all black! My jacket was thrifted, the top is from Target and my pants (prob one of my favorite pair) are the Signature Skinny Velveteen pants and, of course, Fairfield from JustFab. NO accessories (which is prob a first for me). I am not going to lie, I just plain forgot to put some on. There! I admitted! 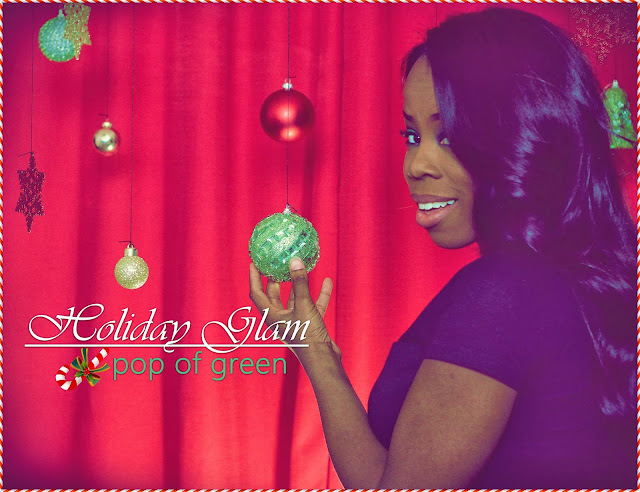 Thanks for viewing my first Holiday Glam look and stay tuned every Friday up until Christmas!